So read on to discover our dozen-plus favorite Vermont entries. 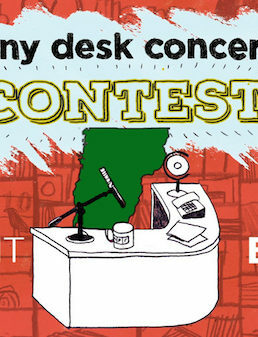 Then head to the Tiny Desk Contest website to browse other entries from Vermont and beyond. Our favorite non-Vermont find: this bizarre David Lynch fever-dream masked performer. 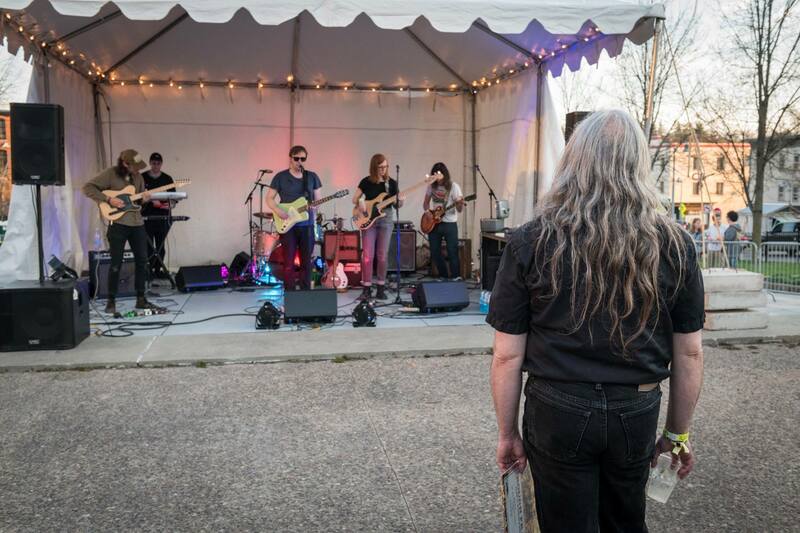 Kelly Ravin and Lowell Thompson have both been kicking around the Burlington music scene for some time, Ravin in local southern-rock-up-north heroes Waylon Speed and Thompson playing in any number of bands. 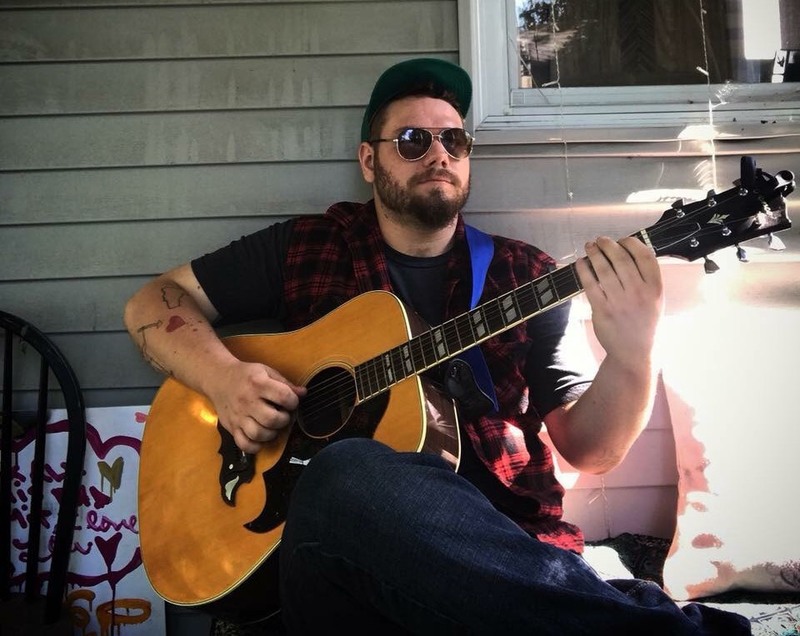 Their latest is a collaboration called The Welterweights, a local supergroup of sorts that also features Willoughby Morse (of Madaila) and Erin Cassels-Brown (scroll down for more on him). They haven’t released anything yet, but check out a recent full-band session over at Vermont Public Radio. If they win the Tiny Desk, they could have a full career recording sessions for public radio affiliates. Kat Wright has made three consecutive Tiny Desk entries, and each year her videos look and sound better than just about anyone’s. In year one, she crammed an eight-piece band (with horn section!) into the old lamp store she owns. Last year they returned with more cameras, for a gorgeously-produced clip that’s nearing ten thousand views. This year, they leave the lamp shop and strip the band down to a four-piece to do a song from her fantastic debut album. The most vibrant video by far, neon wigs, rainbow dresses, and a giant “Smash the Patriarchy” sign colors Skeleton Dancer’s punk-rock reggae. Gogol Bordello’s Eugene Hütz hails from Vermont; Skeleton Dancer should open their next tour date up north. Francois Clemmons uses to have another duet partner: Fred Rogers. For 25 years, he played Officer Clemmons on Mister Rogers Neighborhood – one of the first African-Americans to have a recurring role on a kids’ TV series. He’s retired now, but occasionally records with a singer decades his junior, Erik Benepe. Once you finish their video above, revisit your childhood with this classic Clemmons-Rogers duet from a 1993 episode. Look beyond some audio synchronization issues here. 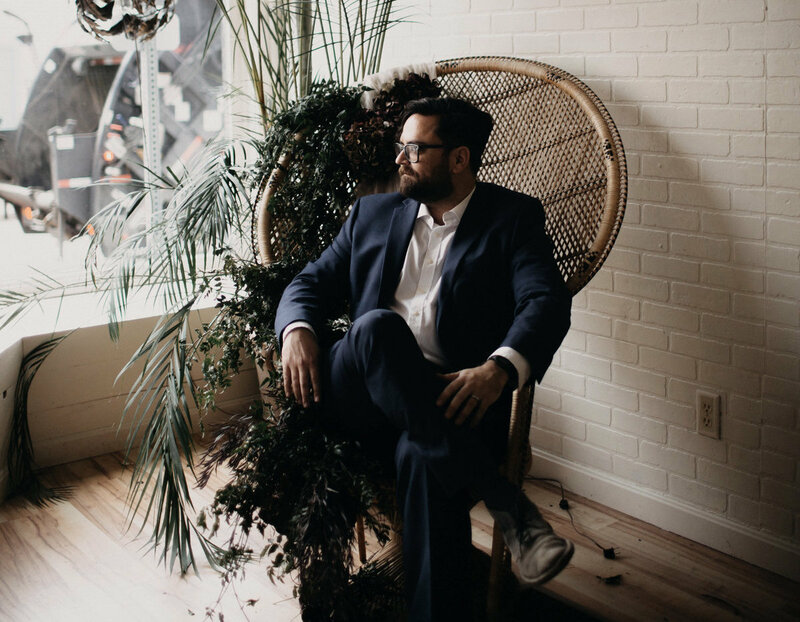 On a gorgeous ballad somewhere between folk and fado, Hernandez smoothly switches between Spanish and English. She sounds fantastic in either language. 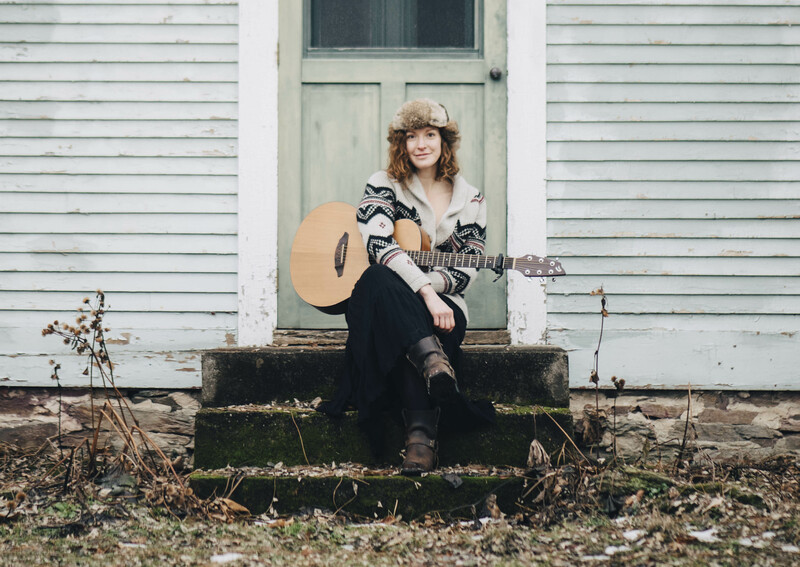 Current Middlebury College seniors Gracie Farese and Julia Hass sound great together – witness their recent street-busking video – but went solo for a pair of lovely, lilting songs. A piano instrumental admittedly probably doesn’t a huge chance of winning. But if the Tiny Desk Contest had Grammy-like genre categories (“Best Rural Contemporary Piano Instrumental”? ), Andrew of the North aka. Andrew Grosvenor would be a shoe-in. Leyeux aka. Jack Snyder certainly wins the effort award, schlepping not only his guitar but his own tiny desk up to the top of a mountain in 11 degree weather. His video was worth the effort, a beautiful song that sounds like a falsetto Bert Jansch. Spacey grooves become a ten-minute sonic journey from instrumental duo Plastique Mammals. Blending prog and ambient, a stripped-down duo of Remi Russin on bass and piano Evan Raine on drums build an impressive soundscape out of very little. 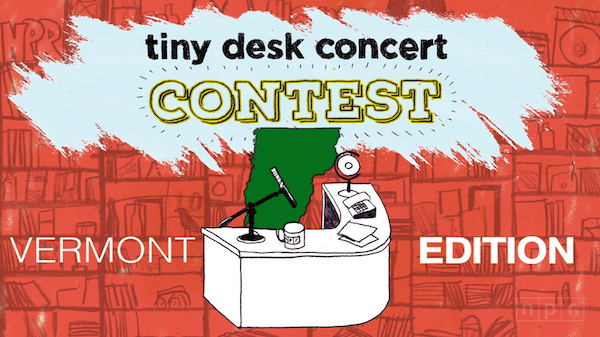 The Tiny Desk Contest takes place in the dead of winner, but that didn’t stop Gneiss from recording this jammy ode to summertime. This Tiny Desk recording was apparently Brightbird’s first-ever performance. Pretty impressive debut. 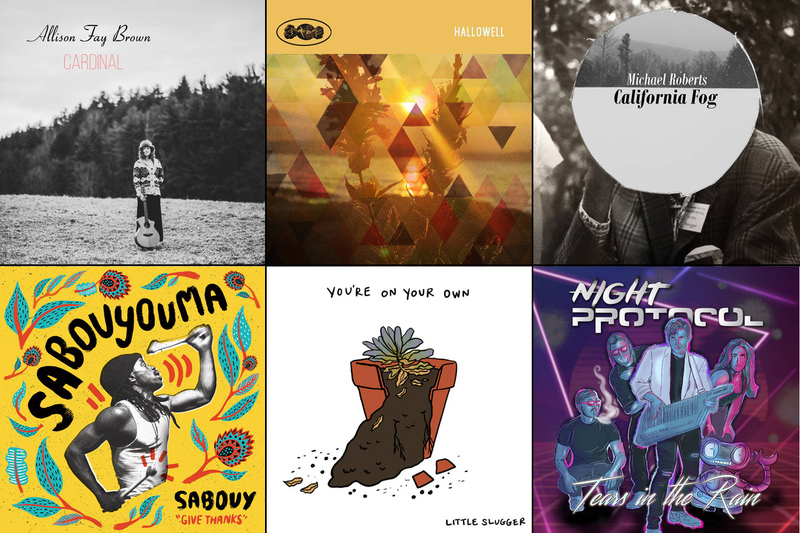 Browse more Tiny Desk Contest entries at NPR Music. Dinosaur rules. Obviously a talented musician. Dinosaur Song!!! All the way! Oh man, Paul Lyons with the dinosaur song is out of this world! Respect to all the other musicians, but Paul has really taken the cake on this thing.